BMW Group, Intel and Mobileye today announced a memorandum of understanding that Fiat Chrysler Automobiles (FCA) will be the first automaker to join them in developing an autonomous driving platform for global deployment. The partnerships intention is to benefit from each company’s strengths and resources to enhance the collaboratively produced autonomous platform. The existing partners believe FCA will add further engineering, technical resources and expertise to the cooperation, as well as its significant sales volumes, geographic reach and long-time experience in North America particularly. The original BMW Group, Intel and Mobileye partnership was formed in July 2016 to make self-driving vehicles a reality with solutions for highly automated driving (Level 3) and fully automated driving (Level 4/5) into production by 2021, using a scalable architecture. 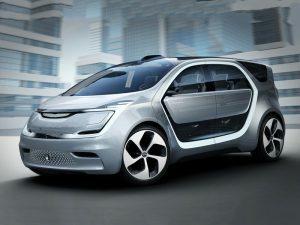 According to the partners, they remain on-schedule to deploy 40 autonomous test vehicles on the road by the year-end. Testing of 100 Level 4 fleet vehicles by Mobileye is already underway. The collaborative approach means the partners are open to additional automakers and technology suppliers wishing to help create or adopt the autonomous driving platform, the existing partners add.